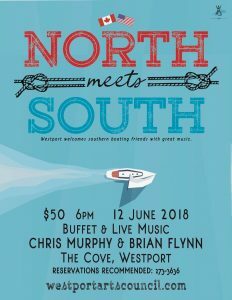 Join us at the Cove Country Inn on June 12, 2018 at 6:00 p.m. as we are joined by a large group of Americans who will have travelled to Westport from Clayton, New York in their antique boats. Seriously! We have planned a bit of a party for them and called it “North Meets South’. We need you to help make them welcome. Dale Lyons has arranged for a tour of the Antique Carriage Museum at 3:30, which you are welcome to join. 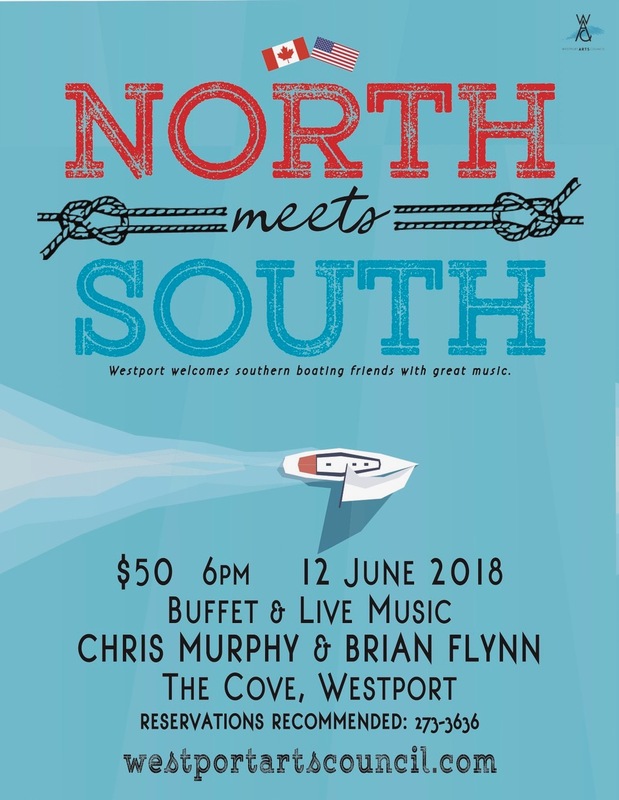 Then it is back to the Cove for dinner and an evening of music provided by Chris Murphy and Brian Flynn from Turpin’s Trail. This is a fund raiser for the Westport Arts Council and MUSICWestport. Come and join us as “North Meets South’.